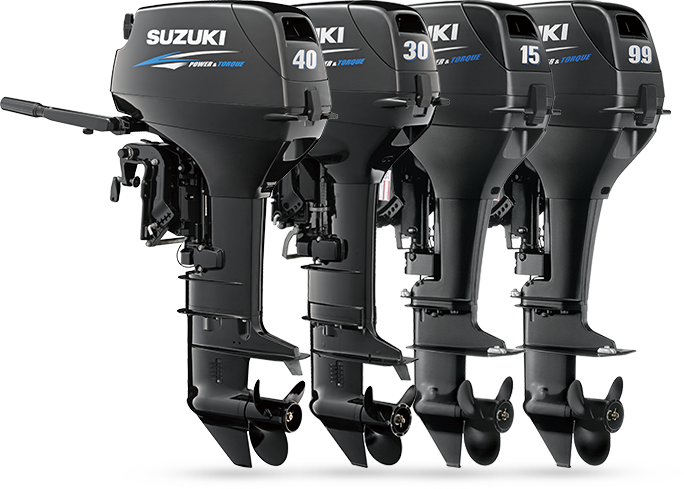 Suzuki outboards are the choice for customers around the world with our technology and reliability. The sleeve, under panel and upper panel of the water pump is hardened with hard chrome plating to increase durability against sand and mud. 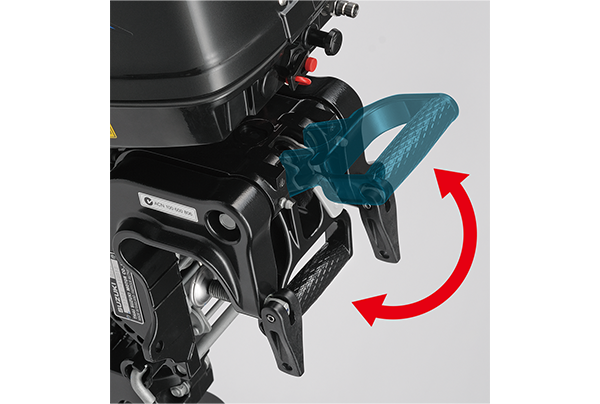 The outboards feature a programmed tilt system that offers easy, three-stage adjustment of the outboard angle for shallow water operation. The system is equipped with a reverse lock that automatically engages when the engine is returned to its normal operating position to prevent the engine from kicking up. A new retractable carrying handle folds down and out of the way, when not needed. 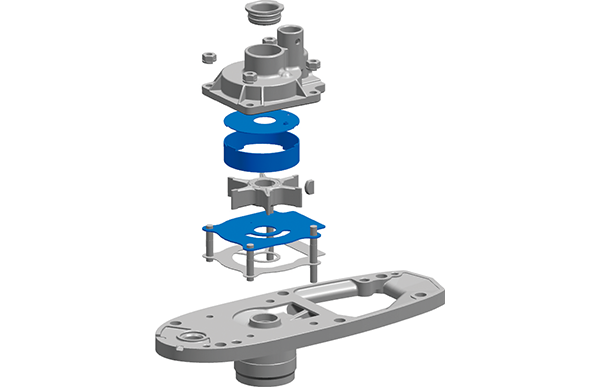 In addition to making the outboard easier to carry, it gives the engine a more compact form when mounted on the transom. Special keystone piston rings use a unique design that delivers more power to the crankshaft with reduced energy loss. The rings also increase combustion efficiency, offer greater durability, reduce fuel consumption, and lessen the chance of sticking rings. 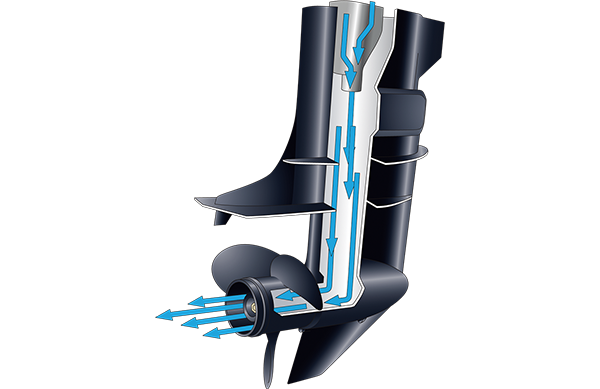 In addition to quiet operation, a through prop hub exhaust system provides greater exhaust efficiency resulting in increased combustion and acceleration. Other advantages include reduced power loss and superior high-speed operation. 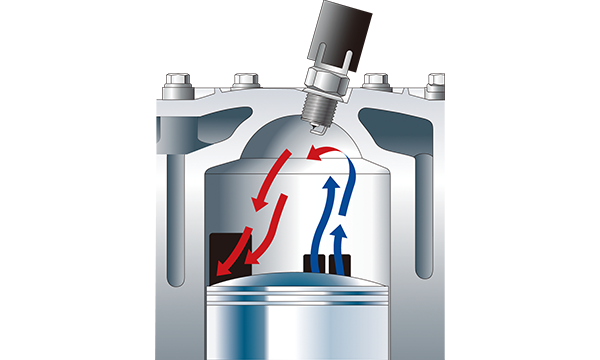 Dome-shaped pistons and cylinder heads help move more air and fuel into and exhaust out of the cylinder increasing both combustion and power for every stroke. With this, Suzuki’s two-strokes deliver better fuel economy, more power per cm3 and greater overall performance. 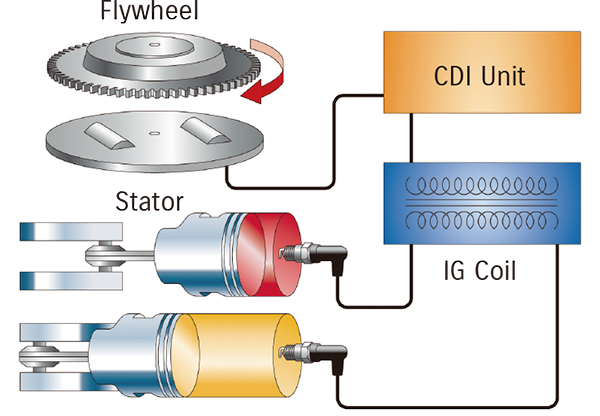 The CDI Unit System is used together with the ignition coil and functions as an over-rev protection device. This unit also provides stable idling. 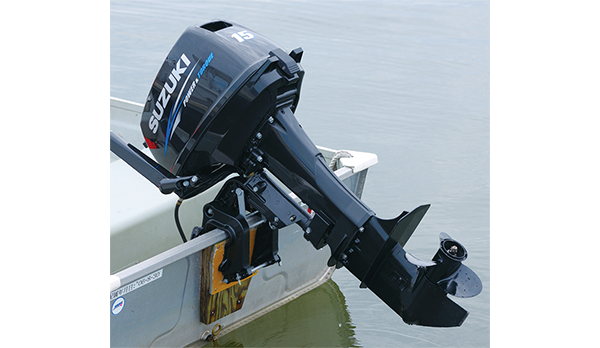 All Suzuki outboards receive this specially formulated, anti-corrosion finish. Applying the finish directly to the aluminum alloy allows for maximum bonding between the finish and aluminum creating an outstanding treatment against corrosion. All propellers are the 3-blade type.